Published by the University of Canberra, Australia and the University of Münster, Germany, on behalf of the International Network of Customs Universities. The International Network of Customs Universities (INCU) is an association that provides the World Customs Organization (WCO) and other organisations with a single point of contact with universities and research institutes that are active in the field of customs research, education and training. The World Customs Journal provides a forum for customs professionals, academics, industry researchers, and research students to contribute items of interest and share research and experiences to enhance its readers' understanding of all aspects of the roles and responsibilities of customs. The World Customs Journal is published electronically, twice a year. 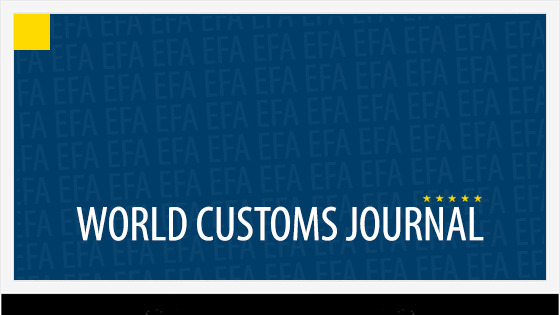 The World Customs Journal is published electronically, twice a year.